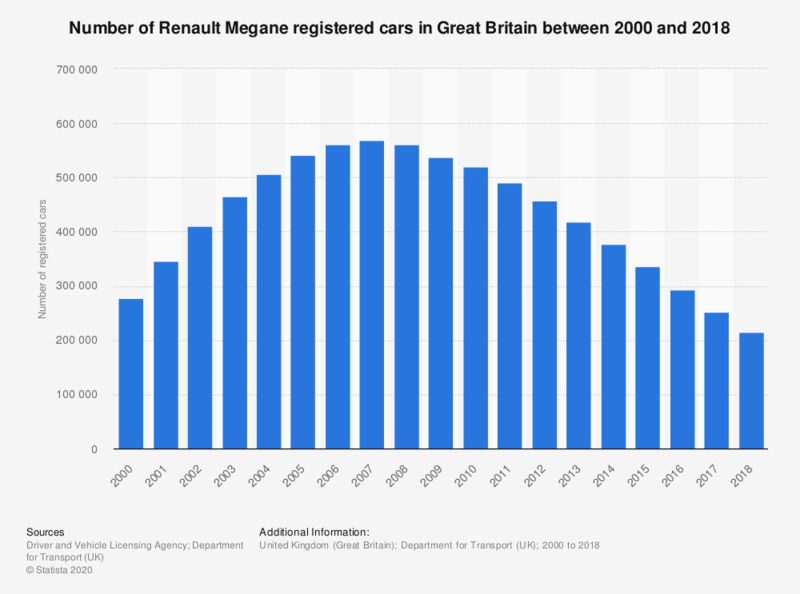 This statistic shows the number of Renault Megane cars registered in Great Britain between 2000 and the final quarter of 2017. The figures represent a running cumulative total. The number of registered cars fell from 538.3 thousand in 2000 to 251.5 thousand by the end of 2017. Figures are cumulative and indicate the total number of registered cars on the road in Great Britain in the fourth quarter of the respective years.